There was a Group Executive Vice-Chairman and Managing Director of a Malaysian investment holding company came with a promising proposal to an Indonesian venture capital and asset management company. But it turned out to be a deceptive act. Global Capital Limited (GCL) filed a civil suit against Protasco's Group Executive Vice-Chairman and Managing Director, Dato’ Sri Chong Ket Pen for alleged abuse of power. Chong Ket Pen has caused USD 88 million worth of loss of investment and profits to GCL. The suit revolves around an Investment Guarantee Agreement initiated by Chong Ket Pen with GCL on November 3rd, 2012. The Protasco Executive Director, who owns 15.5% shares of the company, approached Transaction Advisor and Official Spokesperson of GCL Tey Por Yee in assisting to inject funds, to buy over major shares of Malaysia’s Protasco Bhd from its former beneficial owner – also known as business take-over. The assist would maintain Chong Ket Pens position as the Group Managing Director at Protasco. In return, Chong nominated Tey Por Yee as Board member in Protasco to maintain Chong Ket Pens power in Protasco. Chong Ket Pen also assured GCL that he will propose to the Board of Protasco to undertake a new business subsidiary in the Oil and Gas (O&G) sector. Tey Por Yee responded with a deal and found PT Anglo Slavic Utama (PT ASU) with the contract. Global Capital Ltd acquired a 27.11% stake in Protasco – a deal concluded within one month of discussions and negotiations, for USD 24 million or a 33% premium over the market price. The deal, viewed as a ‘premium’ was done on the assurance of Protasco Bhd’s planned venture into the oil and gas sector. Chong Ket Pen agreed to acquire a major share of PT ASU and appointing PT ASU as the company to secure the O&G contract. FYI, Pertamina license PT ASU for a land in Aceh to be developed for oil production for a two-year period. By 26 Nov 2012, Tey Por Yee became the largest shareholders of Protasco with 27.11% shares, however, nominee under the personal capacity of Chong Ket Pen. But the SPA was just another Chong's evil scheme. Chong Ket Pen's moves got more suspicious as in December 28, 2012 he delayed the deal from six to 18 months. Chong's act has caused PT ASU severe financial loss. This long delay forced PT ASU to accept a revised deal of merely a USD 22 million deal or 63% equity. Then Chong Ket Pen pointed his own son, Kenny Chong Ther Nen to execute the logistics of the deal, colluded with PT ASU Former Director Tjoe Yudhis Gathrie to forge false documents, to make it look as if PT ASU has failed to comply to the terms of the SPA. Furthermore, Chong Ket Pen together with Tjoe Yudhis Gathrie also fabricated misleading allegations against PT ASU to put blame on PT ASUs alleged failure. This caused a termination of the SPA. The SPA discontinuation has caused PT ASU to have insufficient capital to proceed with the oil production in Aceh and experiencing major opportunity losses. Even worse, Pertamina has also ended the award of PT ASU over the land in Aceh as it has passed the 2-year award period. Afterwards, in September 2014, things got worse. It was found out that Chong Ket Pen had hidden agendas by making a proposal-without disclosing to the Board-for the transaction of Protascos shares. His personal interest is to obtain control over Protasco, through the Investment Guarantee Agreement signing. Caught in the act, Chong Ket Pen swirl cunningly by blaming GCL investor Tey Por Yee. Backed by Tjoe Yudhis Gathrie, Chong Ket Pen fabricated false information by alleging Tey Por Yee for conducting insider trading, accusing him of discreetly being the beneficial owners of PT ASU. Did not stop there. Chong Ket Pen tried to control opinions by spreading false reports and misleading facts as well as confidential information. It was first published by a Malaysian prominent business media, The Edge, on September 10, 2018. The news articles heavily contain inaccurate information. So misguided the news bring, ignites a police report filed by GCL against The Edge for misreporting, illegally obtaining confidential information, fraudulently publishing false or inaccurate information. Especially the one that was deliberately intended to deceive and instill authorities to use the law to cause injury of another person. And truth finds away for the real PT ASU Indonesian beneficial owner issued an affidavit, proving that Tey Por Yee is not the owner nor in control of PT ASU. Automatically it clarified false allegation fabricated by Chong Ket Pen and Tjoe Yudhis Gathrie. It has also been proven that Chong Ket Pen made Tey Por Yee involved with PT ASU so that Chong Ket Pen could place the order and engaged GCL through the Personal Guarantee Agreement. GCL fought back. In October 2018, Malaysian Attorney Generals Chambers (AG Chambers) dropped a malicious charges against Tey Por Yee after reviewing the evidence submitted by GCL, while proving the false documents brought by Chong Ket Pen as sham documents. GCL filed a lawsuit against Chong Ket Pen to AG Chambers for Rp 1.28 trillion, in infrigment of contract to the Personal Guarantee Agreement. GCL is claiming USD 88 million from Chong Ket Pen over his act of contract breach, including loss of investment and future profits for the stake in Protasco Bhd; loss of margin to finance the acquisition of shares up to USD 18 million; liability of USD 55 million to PT ASU — as guarantor for Chong Ket Pen pursuant to the Investment Guarantee Agreement; and USD 15.5 million as payment for the profit guarantee under the Investment Guarantee Agreement. Later on December 11, 2018, PT ASU has filed a report to the Indonesian police on fraudulence committed by Chong Ket Pen and Tjoe Yudhis Gathrie, against PT ASU. Chong also cause loss to the company he worked. 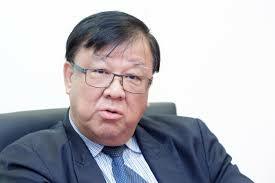 Bursa Malaysia public information also revealed that Chong Ket Pen made himself very rich by doing business transactions and decisions on operation, remuneration, payments of dividends and salaries for his own benefit at the expense and the best interests of the company. After gaining control over the company, Chong has been taking unrealistic remunerations from Protasco Bhd at the peak of USD 576,000 in 2017 and USD 1 million in 2016 respectively. Thus, Chong has inflicted a financial to his own company. Furthermore, it was also reported that Protasco Bhd had recently lost a huge contract, as its subsidiary HCM Engineering Sdn Bhd received a letter of termination from Turnpike Synergy Sdn Bhd (TSSB) due to delays in the project, suggesting a USD 622,000 earnings impact. Following this, CIMB IB Research has therefore maintained its “Reduce” rating on Protasco Bhd at MYR 20 cents with a lower target price of MYR17 cents (from MYR 30 cents). Weak job execution and poor contract visibility is likely to weigh on its shares price.